Oh-so-natural! Not only is Dash & Albert's Prism Hand-Knotted rug made from eco-friendly jute and colorized with vegetable dyes, its as pretty as a peacock too! Designed with a repeating pattern of irregular diamonds in a vibrant mix of teal, amber, navy, grey, and ivory. You're sure to find this rug happily at home in most any room. 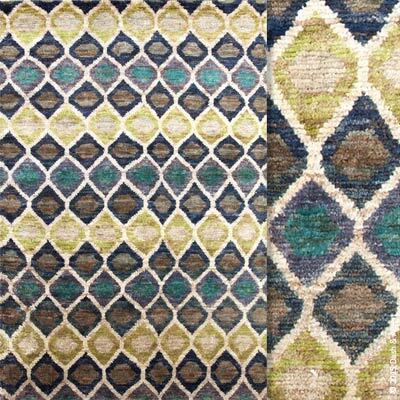 Each hand-loomed rug is crafted by artisans, so no two rugs are identical.